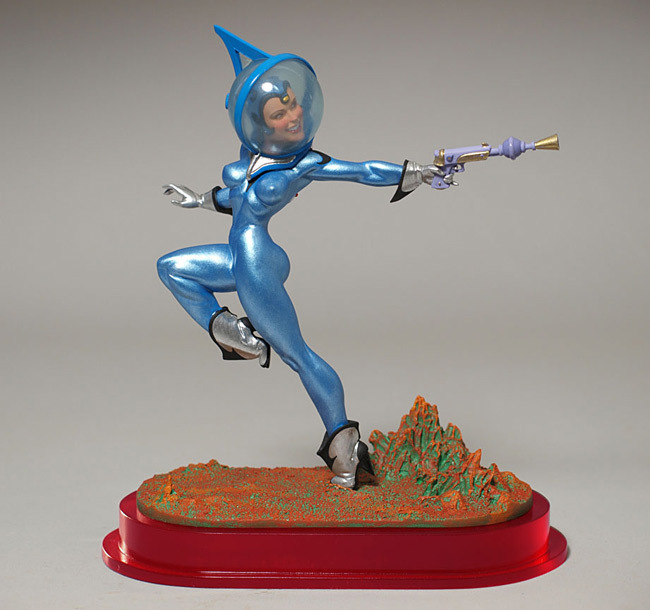 February 2012 - Prolific toy industry sculptor Tim Bruckner (DC Dynamics, Batman: Hush) has launched a new, affordable line of garage kits and hand-painted mini-busts based on his own sculpts of famous characters from literature and history. 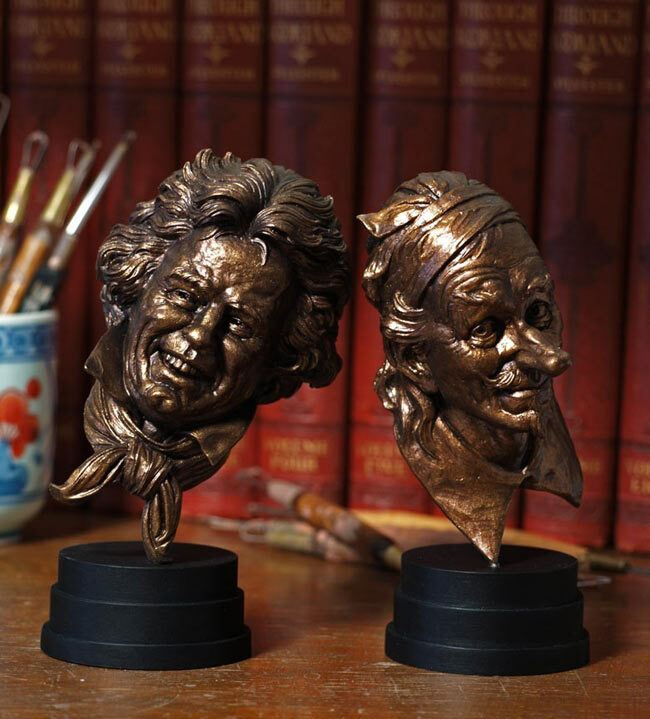 Called IconoCasts, the first assortment of three characters includes The Monster from Mary Shelley's "Frankenstein," hopeless romantic Cyrano de Bergerac and a laughing portrait of famed composer Ludwig Van Beethoven titled "Ode to Joy." Each stands approximately 5.75 inches tall, and is available in unpainted and unassembled kit form ($30) as well as a painted, assembled version ($50). You can order all three through timbrucknershop.com, along with larger-scale versions and other examples of Bruckner's produced and unproduced work.